Has Windows 7 gone gold? Windows 7 has been released to manufacturing, according to what appeared to be a Microsoft employee writing in a widely distributed email newsletter this afternoon. in brief Windows 7 has been released to manufacturing, according to what appeared to be a Microsoft employee writing in a widely distributed email newsletter over the past several days. 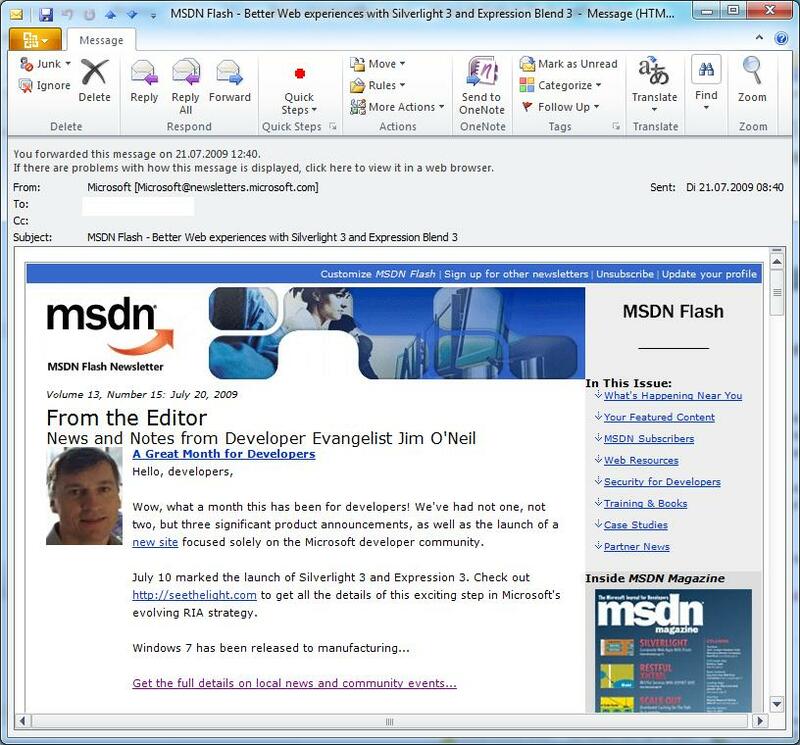 "Windows 7 has been released to manufacturing," Microsoft IT Pro Technical Evangelist James O'Neill wrote in what appeared to be the MSDN (Microsoft Developer Network) Flash newsletter, posted online today but datestamped the 20th of July. The receiver of the email appeared to have received it on the 21st. Microsoft has so far been unable to disclose what date its new operating system would be finalised. However, overnight the company noted on its Windows blog that its hardware and software partners would be able to download the final version of Windows 7 on August 6, with the software to make its way throughout the Microsoft ecosystem more widely after that date. A Microsoft Australia spokesperson said the suggestion that Windows 7 had gone to RTM on the 20th of July was incorrect. They could not confirm the date Windows 7 would be released to manufacturing, saying only that it was "imminent".